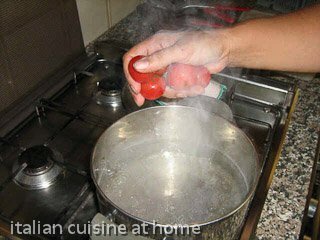 salt 1 tablespoon 1 tablsp. 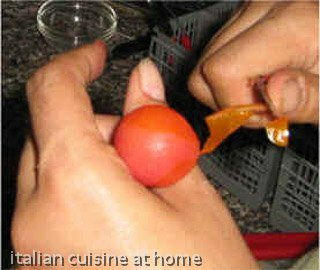 in this manner you can peel the tomatoes very easy. 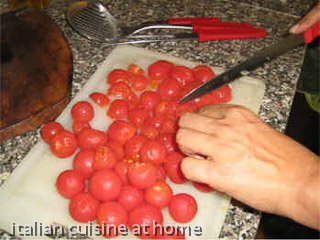 now cut the tomatoes and remove the seeds, then put on the counter with the inside part toward it, in this manner the exceeding water will drip down. 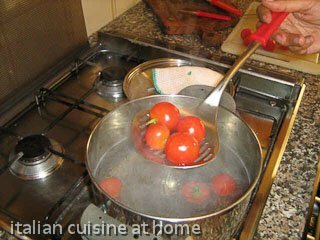 The cooking time is a little long but you will obtain a very sweet and fresh taste.